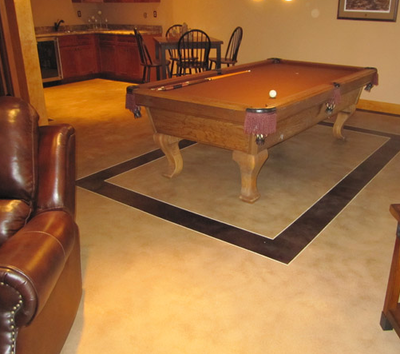 ​Concrete is not usually the first material that comes to mind when one thinks about flooring. It is often seen as being hard, cold and uninviting. 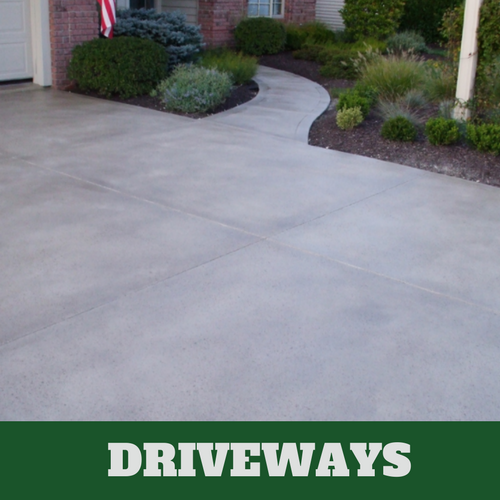 However, concrete has come a long way in modern times and it’s not the boring grey slab that so many of us are used to. 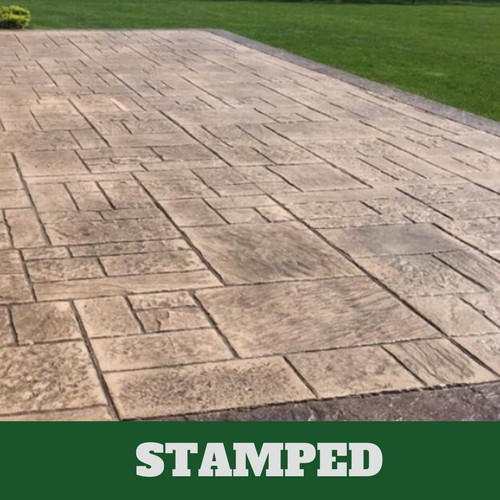 For one thing, stamped concrete offers more design options than many materials out there and at a fraction of the cost. 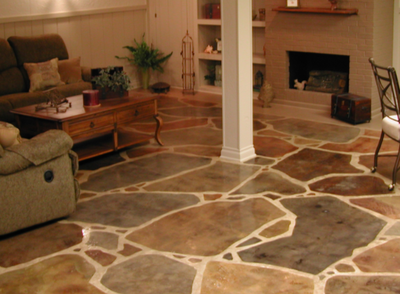 Concrete is a great choice for flooring in both new and old homes, as well as commercial businesses. 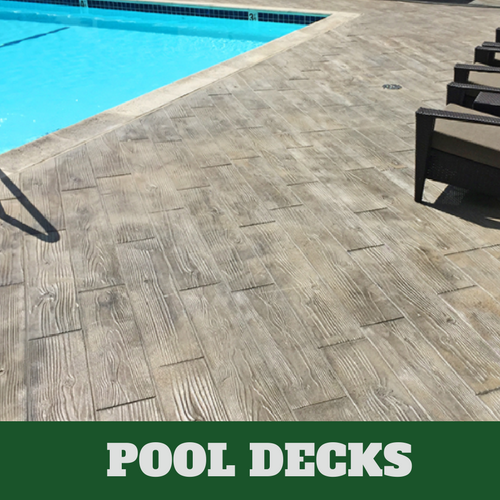 Contact our team at Grand Rapids Stamped Concrete to ask any questions or get started on a project today. 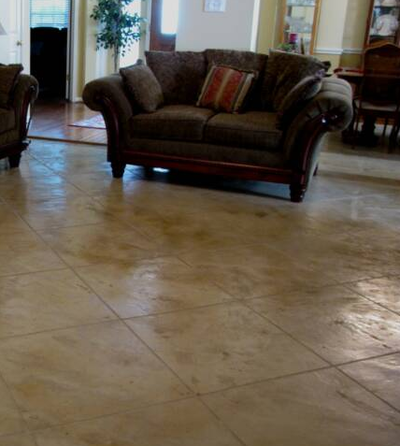 Concrete flooring is one of the easiest types of flooring to maintain. 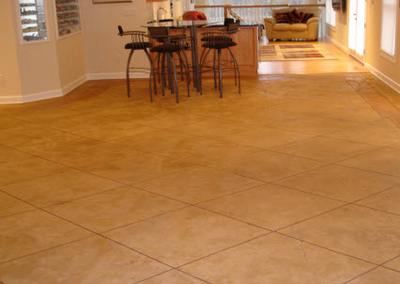 Unlike tile, which gets dirty and grimy and needs to be scrubbed, concrete simply requires a sweep and light mop to look good as new. 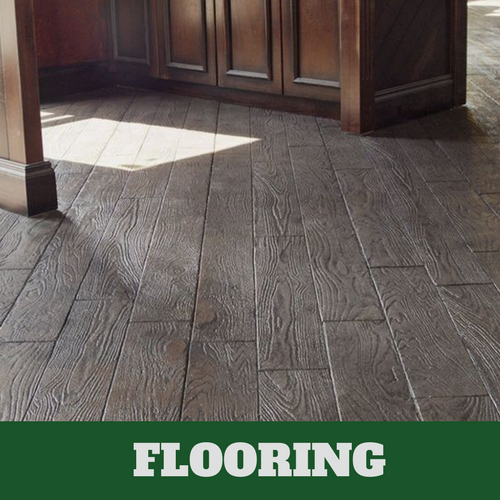 Unlike hardwood, which creaks, cracks and can be easily stained, concrete flooring is impossible to dent, it will not creak, and it will not stain so long as it is properly sealed. This is a big benefit for areas like the kitchen where spills are bound to happen at one point or another. You can choose virtually any design option you can think of and we can make it happen. 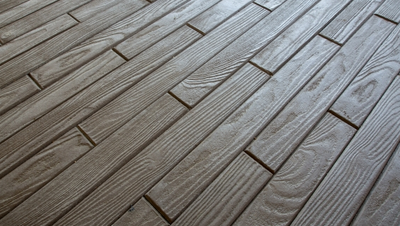 Flooring is not quite as cut and dry as your driveway or outdoor walkways. You want it to integrate well with the color of your walls, furniture and accent décor. There’s more to consider and think about, and therefore more design options can be helpful to get the right look. 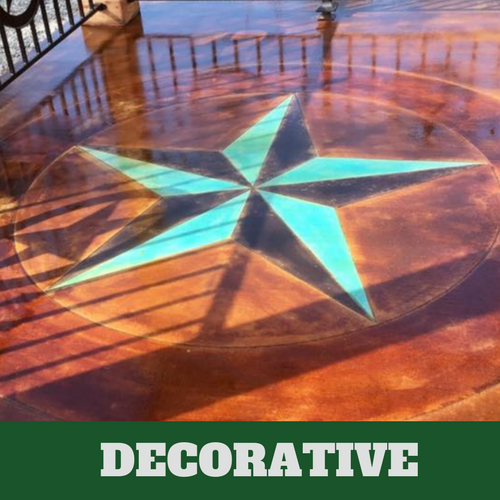 Whether you are looking or color or pattern or both, stamped concrete will give you what you need and we guarantee that you will be very happy with the final result. 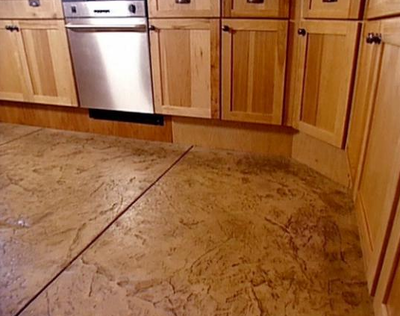 In most homes, there will already be a layer of concrete beneath your current flooring material. 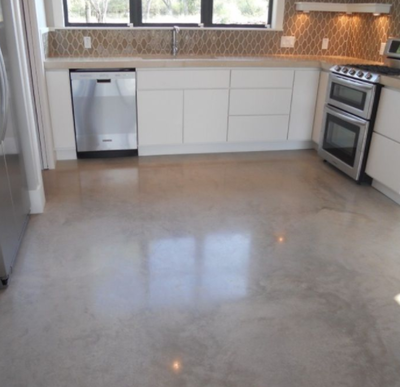 When this is the case, concrete flooring is incredibly environmentally friendly, as no new material needs to be produced to create your new floor. 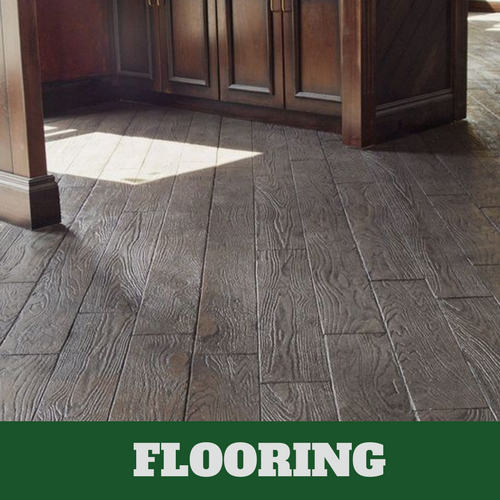 Similarly, if you decide down the road that you do not want concrete floor anymore, whatever new flooring material you choose can be easily placed and installed over top of the existing concrete. This gives you even more freedom and versatility when it comes to design, because no decision you make needs to be seen as permanent. 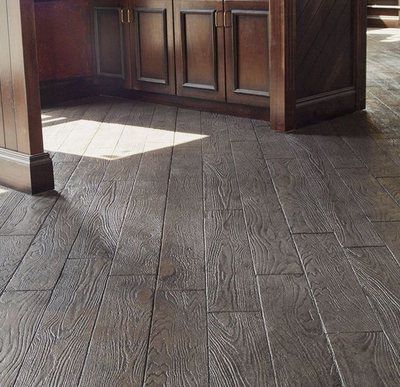 One of the biggest concerns with concrete flooring is the lack of heat. You will be walking on your floors at all hours of the day and in all seasons of the year. When it’s cold outside, no one wants to feel cold inside, and unfortunately for us, our feet tend to get the coldest, especially if we walk around barefoot. 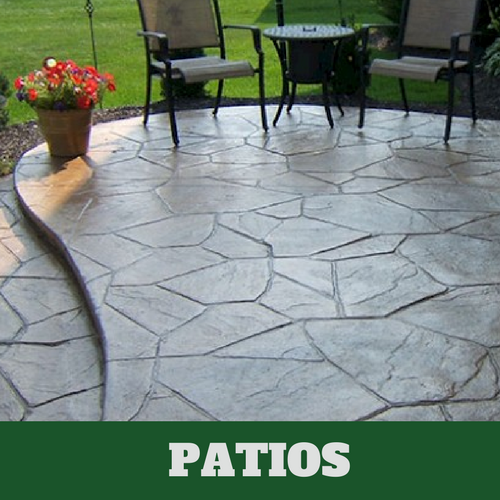 You might be surprised to learn that you can opt for heated concrete. For this to happen electrical cables or hot water pipes are installed right into the concrete, making your floors warm and cozy.